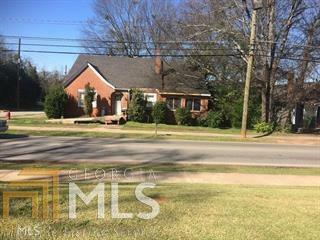 3 BDRM / 1 BATH ALL BRICK HOME. GREAT POTENTIAL!!! SOLD AS-IS WITH NO SELLER'S DISCLOSURE. PROPERTY CAN BE VIEWED FROM OUTSIDE AND INSIDE CAN BE VIEWED DURING THE DUE DILIGENCE PERIOD. Listing provided courtesy of William G. Murray Realty Group. © 2019 Georgia Multiple Listing Service, Inc. All rights reserved. Information Deemed Reliable But Not Guaranteed.